You'll need two kinds of files to sign your app: Certificates and Provisioning Profiles. The certificates - development or distribution - are the guarantee that you, the named developer, built this code, that you are a member of the developer program, and that Apple have issued you with a certificate to do so. 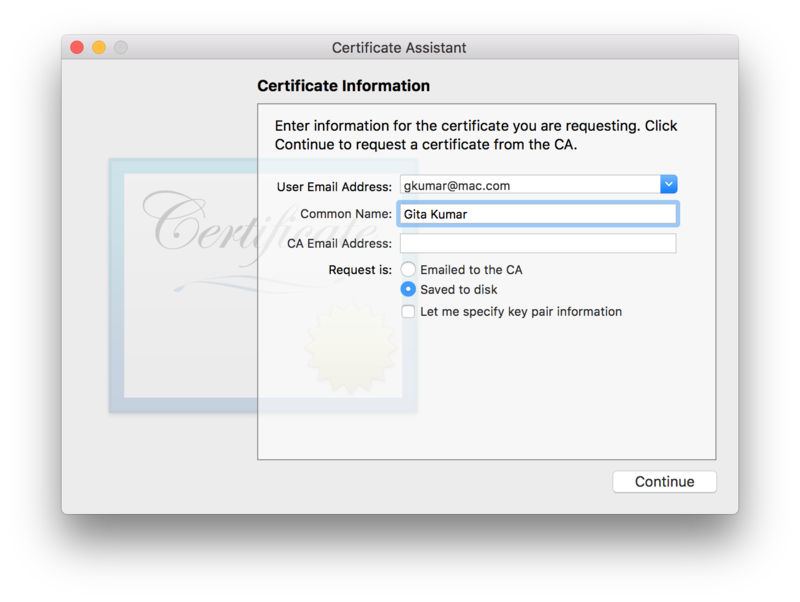 To get a certificate, you need to generate a Certificate Signing Request with Keychain Access and send it to Apple. This will create a public/private key for you if you don't have one already. Apple will then verify the information, and create a certificate for you. 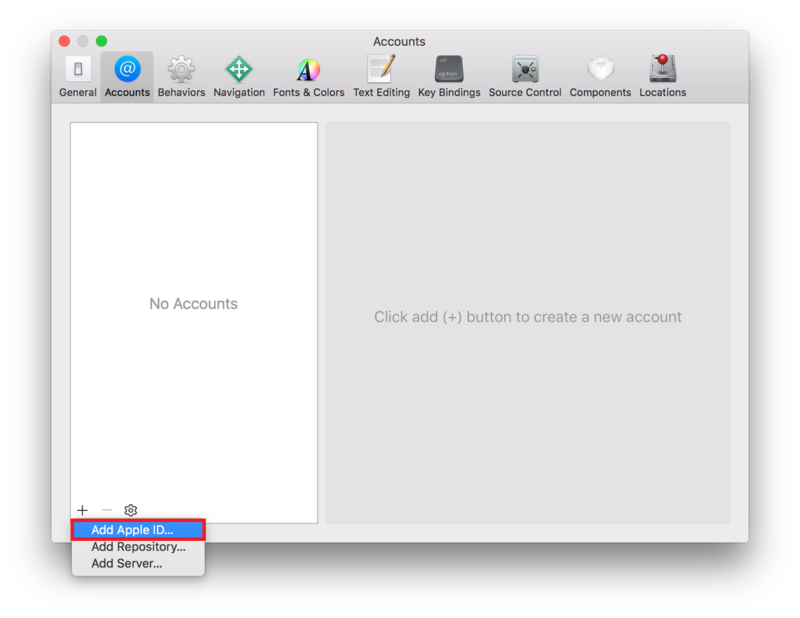 First you have to add your Apple ID to Accounts preferences in Xcode. If you are already done with this, you can skip to step 6. A dialog will appear. 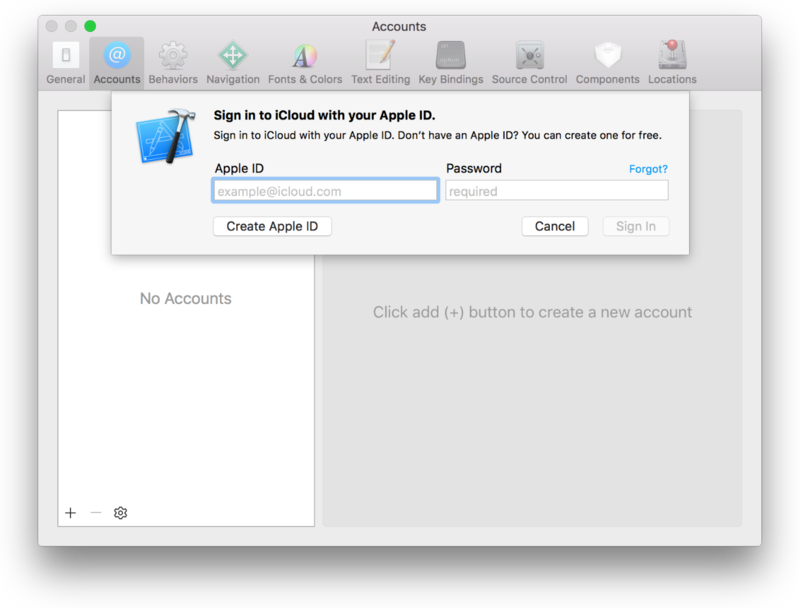 Add your Apple ID and your password, then select Sign in. If you don't have an account you can create your Apple ID by selecting Create Apple ID. Under the signing identities locate the iOS Development and iOS Distribution profiles. If you have not created them you will see a Create button next to them. Simply select it and Xcode will issue and download your code signing identities for you. If you already have Code Signing Identities issued, you will see a Reset button next to them. You can issue new certificates with it, that Xcode will generate and download, however note that this will invalidate your previous certificate, so only do this if you've lost those files or if you know what you are doing! Open your Keychain Access app on macOS. Fill in the User's Email Address and the Common Name and select Saved to Disk. Click on Continue and save the generated certSigningRequest file locally. Go to https://developer.apple.com and log in to your account. Select Certificates, IDs & Profiles from the left sidebar. Go to Certificates and click on the + button on the top right corner. On the next page you see the instructions for creating the certSigningRequest file. Click continue. Upload the created certSigningRequest to the form and click continue. It will generate your code signing certificate for you. Download the certificate and double click to install it. Once installed it will be added to your Keychain Access app. Provisioning is the process of preparing and configuring an app to launch on devices and to use app services. Development Provisioning Profiles holds the device identifiers ( UUID ) that is eligible to run your app. 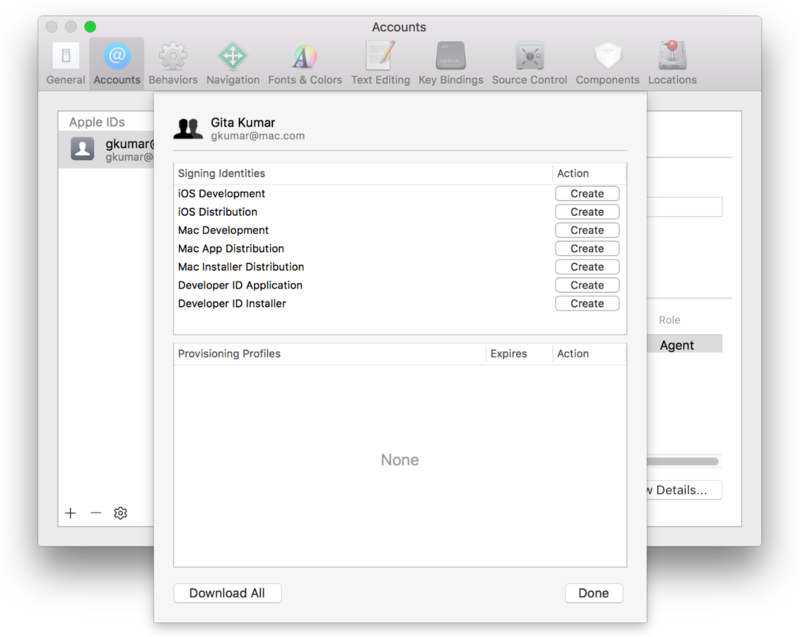 Distribution Provisioning Profiles can include App Store profiles, that lets you distribute your app to the App Store and Ad-hoc profiles are good for distributing to your testers. Xcode will automatically generate an App ID for your project, that matches your unique bundle ID for your project. An App ID is used to identify one or more of your apps. It can be an explicit App ID that only matches one unique bundle identifier or a wildcard App ID that can match multiple ones. Xcode will also create a Team Provisioning Profile for your project automatically, so you can start deploying to your device automatically. If you hit any issues you should make sure that the device is eligible, for example if the device doesn't match the deployment target you will get an error. Also make sure that your app is connected to the correct Team. Go to the Signing section and under the Team select your correct team. If you hit any issues and can't resolve it move to the manual step and set up Provisioning Profiles following the documentation. To setup a distribution Provisioning Profile, go ahead with the manual setup. If you have already created the Provisioning Profile, you can do the following. Select your Apple ID and your team, then select Download Manual Profiles. Go to ~/Library/MobileDevice/Provisioning Profiles/ and your profiles should be there. If you haven't already created an App ID for your project, go to https://developer.apple.com and log in. Select Explicit App ID and add your bundle identifier to the field. Select any additional App Services that you need. Select the + from the top right corner. For development select the correct project type under Development, or for distribution select the correct one under Distribution and click continue. Select the App ID you would like to use. Select the certificates you wish to include in the Provisioning Profile. These certificates will be able to build with this profile; click continue. Select all the devices you would like to use with this profile and click continue. Name your Provisioning Profile and click continue. Your profile is generated. You can download it to your device and double click to install it on your Mac. Click on the Download button to download it and double click to install it on your Mac.